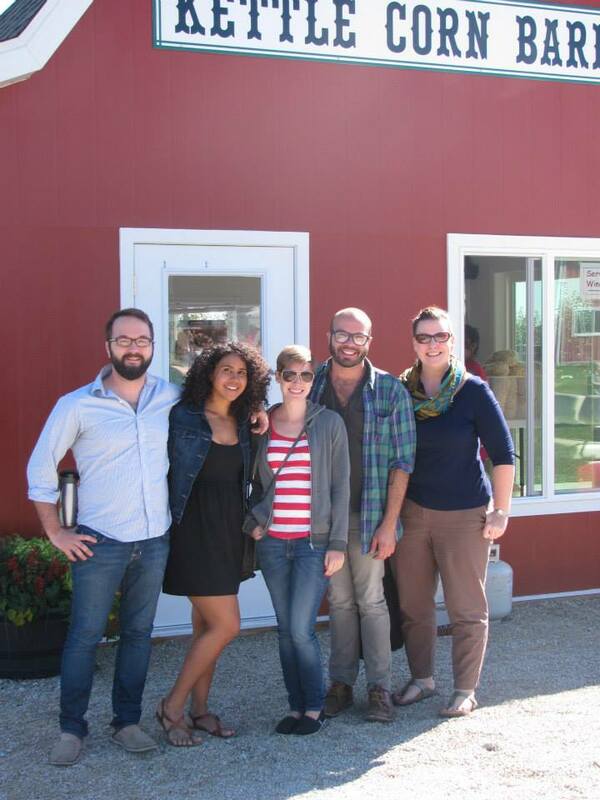 A few weeks ago, my friends and I had planned to venture away from the big city out into the rolling country for an autumnal outing and the corresponding wholesome goodness. We were going to pick apples, a regular “Urban Family” Fall Fun event, set in rotation with the Cheese Days festival in Monroe, Wisconsin. On even years, we celebrate all things cheese. On odd years—sometimes very odd—we pick apples. Though always memorable, these outings are also reliably surreal. Urban Family in Wisconsin, with beer and a cheese necklace. I’m a well-known proponent of tradition, and both agrarian activities embody much of what makes life good. Honestly, what we do is irrelevant; the fun we attempt to have and the time spent together is what I value. Despite our best efforts to enjoy a picturesque autumn afternoon, we ultimately endure a bizarre experience sure to be anecdotal fodder for years to come. I think the first outing to pick apples in 2009 went rather well. I cannot recall the name of the farm, though I am certain it had hydraulic cannons for shooting apples at targets, which we all agreed was a good sign. We learned later that sort of thing, though vastly entertaining, is quite illegal in Illinois. City folk dodged an apple bullet there. In 2010, we discovered the cheese festival and decided it was worth a visit. We enjoyed a pleasant day, though many oddities did ensue. Here, we encountered a two-hour cheese parade, with cheese-inspired floats and dancers and bands enough to make anyone smile. Sure that more fall fun could be had, we went apple picking, too, except there were no apples. We’d come too late in the season, and they were fresh out. 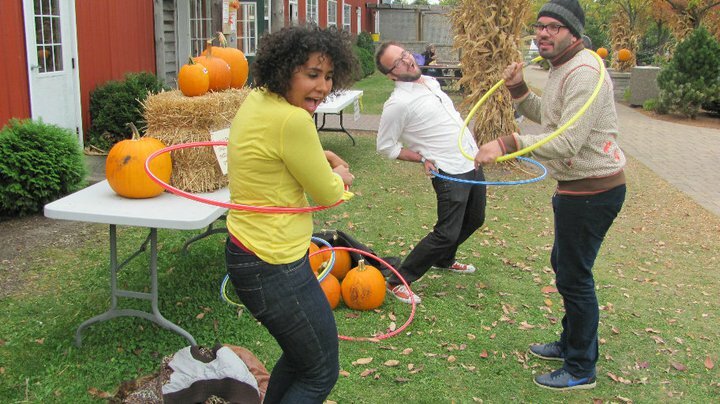 We decided to enjoy every other bit of down-home goodness on that farm, including the corn maze, and hula hoops, put out, no doubt, in a desperate attempt to distract from the “no apples” sign. In 2011, we became convinced that harvest time in the orchards and harvest time in the hallmark stores are quite different. By the time we got to the orchards in late October, when everything feels like autumn, there weren’t many apples left, but at least there were some. The next year’s Cheese festival was meant to be great fun. However, we missed the parade by going a day early because I misread the schedule. We did our best to see what else the Cheese Festival had to offer, including a “cow milking contest.” I’m really glad we didn’t miss that, though the crowds were rowdy for such a natural diversion. Over the succeeding years, when attempting fall family fun, we’ve encountered a variety of implausible, if not completely unavoidable difficulties. Naturally, the unexpected activities we engage in when everything else has gone awry have become central to our shared good times. If there is any fun to be had, we find it together. 2009: It begins—all went well, leading us to believe that a delightful day in the country was well within our grasp. 2010: Our First Cheese Fest: Unclear who discovered this gem—we loved it, and vowed to return. 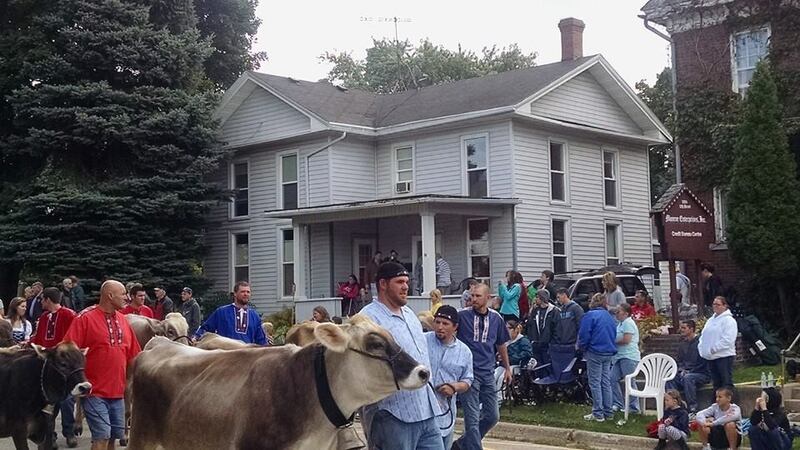 There was the occasional oddity, like cows in the parade and a woman handing me her child, but it was largely a win. 2010: All Seasons Orchard—no apples! We might have expected too much fun from one autumn. 2011: Kuiper’s farm, a bad year for apples, but at least there were a few. Sadly, cider was also in short supply: only small cups of cider, no gallons for sale. 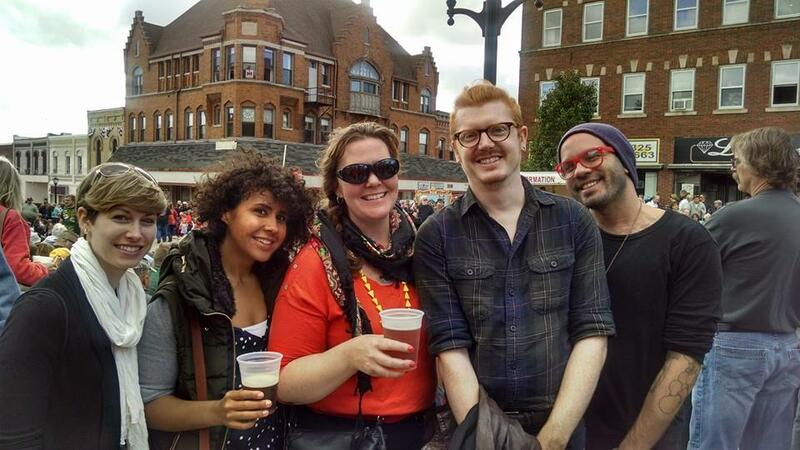 2012: Cheese Fest: We went a day early (my fault) and missed the parade. A stunning blow. The ultimate photo “shoot,” as there’s a pumpkin gun down field aiming at their heads. 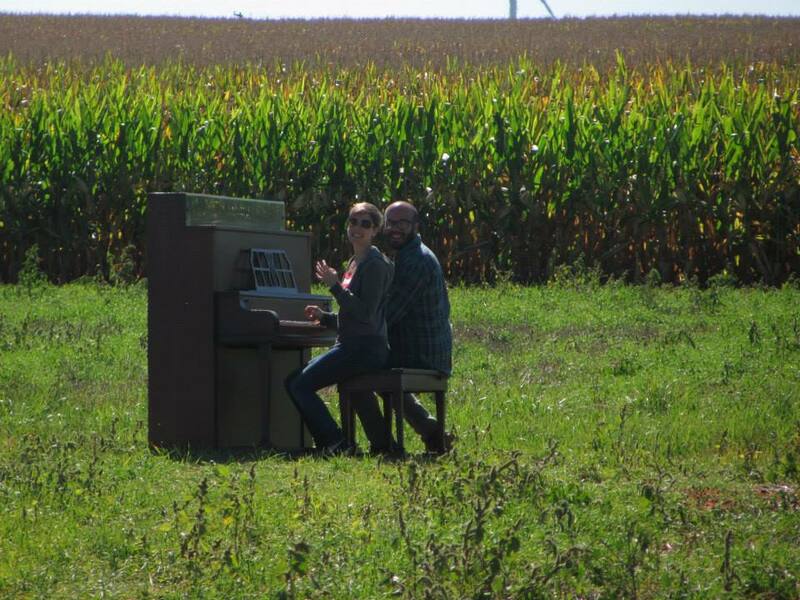 2013: Jonamac Orchard, a good outing, despite the fact that during the “piano in a field” photo, Kris & Tammy narrowly escaped being killed by a flying pumpkin. This year’s attempt at fall fun was marred, once again, by a surreal obstacle. When I arrived to pick up the rental car, I was quite dumbfounded to discover that though my reservation existed, the car did not. There were no cars, nor would be, for the next several hours. No apples in the orchard. No cars at the car rental agency. The Sugar Beet Is Here!